After the demise of Tears for Fears as a duo in the early Nineties, Roland Orzabal decided to go on under the name of the band while Curt Smith tried to make it on his own. Unfortunately, he turned out to be the least successful one of the two. Both this single and the album 'Soul on board', released in 1993, failed to chart. Subsequently, the album was never released at all in the US. 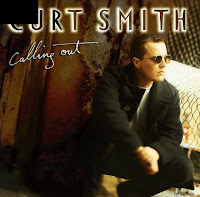 Smith himself has stated that he hates the album and alleges that he made it purely to fulfil his recording contract with Phonogram/Mercury Records.